New Delhi, Feb 5: In a significant development, the Myanmarese army has reportedly taken control of the headquarters of the National Socialist Council of Nagalim (NSCN), Khaplang group, situated in that country’s Sagaing Region. The NSCN, formed in 1980, split into two in 1988. In August 2015, the NSCN (Isak-Muivah) faction entered into peace talks with the Narendra Modi government. 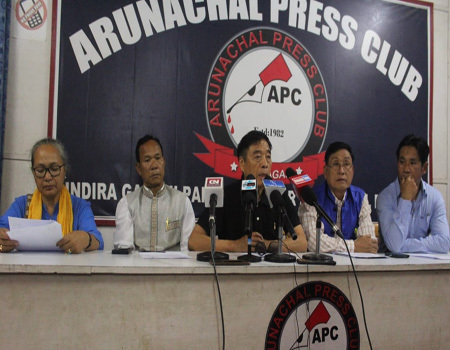 The latest news is a significant development for the success of the ongoing peace process as there has been speculation in a section of Indian media about the central government’s attempt to bring the Indian Nagas belonging to the NSCN (K) – led by former general secretary Isak Sumi and former chairman Khango Konyak – to also join the talks. In August 2018, Konyak was impeached, seemingly at the behest of the Tatmadaw, and replaced by 45-year-old Yong Awng (Yung Aung), the nephew of Khaplang. Yong belongs to Myanmar. Though the Framework Agreement was signed by the Modi government with NSCN (IM) in 2015, in the course of these years, the scope of it has been widened to include more groups and stakeholders. 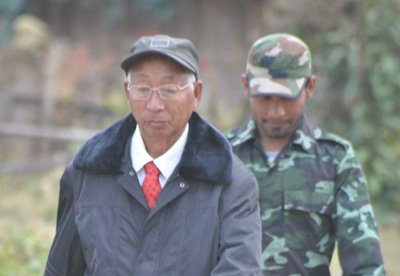 While the NSCN (K) walked out of the ceasefire with the Indian government in 2015 – after 14 years – and immediately triggered a massive attack on an army convoy in Manipur, killing 18 soldiers, the death of SS Khaplang in 2017, its ideological and political head, has somewhat weakened the leadership of the armed group, creating factions. Such a development has given an opportunity to, both the Indian and Myanmar governments to intensify their efforts at engaging them in separate peace talks. Taking over the NSCN (K) headquarters at Sagaing by Tatmadaw can be read as a dilution of the NSCN (K)’s longstanding demand for a unified Naga state comprising parts of India and Myanmar. Furthermore, the regional peace agreement signed between NSCN (K) and the Myanmar government in April 2012 may lead the way and possibly push the outfit to agree to the nationwide ceasefire agreement (NAC) of the government. Though, since 2000, there has been no armed confrontation between Tatmadaw and NSCN (K) – which has been administering the Naga dominated region bordering India – it has, so far, refused to sign the NAC because of its demand for the unified Naga areas of Myanmar and India. The Tatmadaw has, however, refused to call the operation an ‘occupation’. What is significant is also that the Ta Ga region is believed to have camps of the anti-talks faction of the United Liberation Front of Asom (ULFA-Independent), led by Paresh Barua. According to sporadic media reports coming about the operation, the Tatmadaw, after occupying the NSCN (K) headquarters, has also cleared the area of as many as five insurgent groups, including the ULFA-I and the Songbijit faction of the National Democratic Front of Bodoland (NDFB). Both armed groups are banned by the Indian government. While the Baruah faction of the ULFA and the Songbijit faction of the NDFB are opposed to talks with the Centre, the pro-talks factions of the ULFA and the NDFB have been engaged in peace talks with the government since 2008 and 2011, respectively, but haven’t yet reached an agreement. Many cadres belonging to these groups have been residing in designated camps across Assam, awaiting a peace deal. This past week, NDFB (Daimary) group chief Ranjan Daimary was sentenced to life by a CBI court in connection with the serial blasts in Guwahati in 2008. The Indian government is tight-lipped on the Myanmarese army’s action against the NSCN (K). 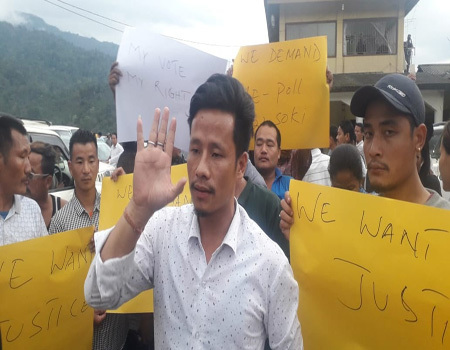 Attempts to get across to RN Ravi, the government’s interlocutor for the Naga talks, particularly on its impact on the ongoing peace process and confirmation in regard to the participation of the Indian Nagas of Khaplang group in the talks, failed to meet a response. Meanwhile, Indian Army Chief Gen Bipin Rawat and Lt Gen Manoj Mukund Naravane, the general officer commanding-in-chief of Eastern Command, visited Nagaland on 3 and 4 February to reportedly review security measures in the state and met Chief Minister Neiphu Rio.